After you have the link you open up a QR code generator. There are several free sites available to do this easily. I have used both QR Stuff and QR Code Generator. In this example I am using QR Code Generator. 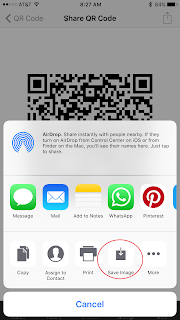 There are many QR code Generators in the iTunes App store and the Google Play store as well so it doesn't matter what kind of hardware you are using. 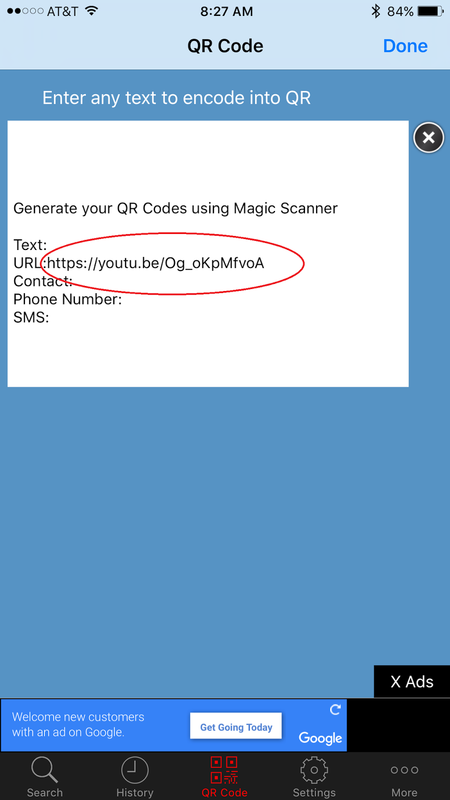 Paste the address from the YouTube video in the generator box and then hit the Generate QR Code button. The website does the rest for you. 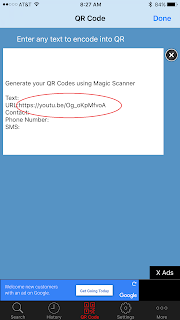 The QR code generator does the rest and you can download. You can do the same on your phone - that is the great thing about these QR codes - they can be generated right in the palm of your hand. I will show you that next. Using your phone there are a couple of easy steps that are similar. 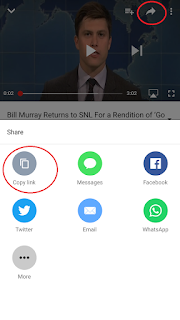 You find the YouTube video that you want to generate the QR code for. 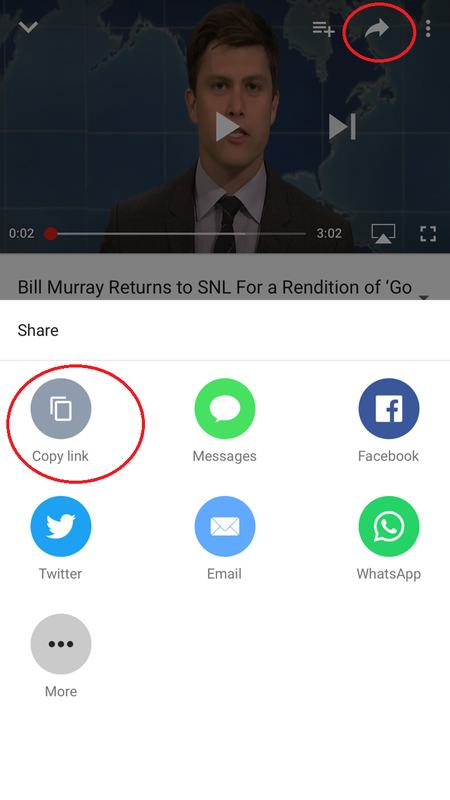 There is an arrow button at the top that will bring up a screen where you can copy the link. 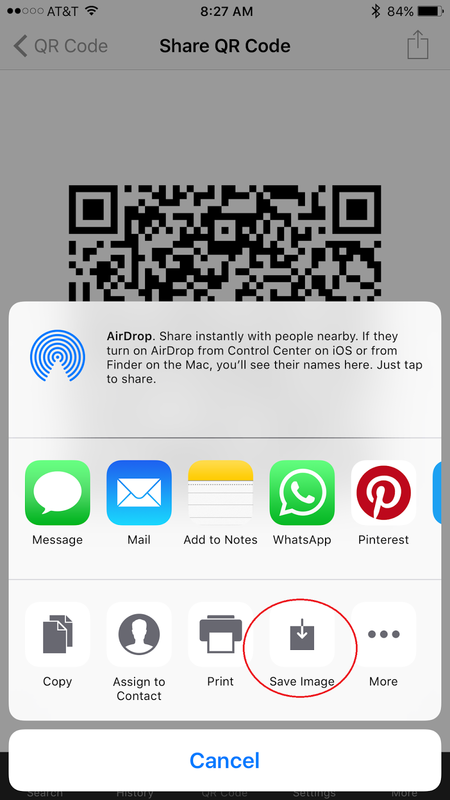 Finally the QR code appears and you can hit the share button on the top right corner and then you can save the image to your camera roll. 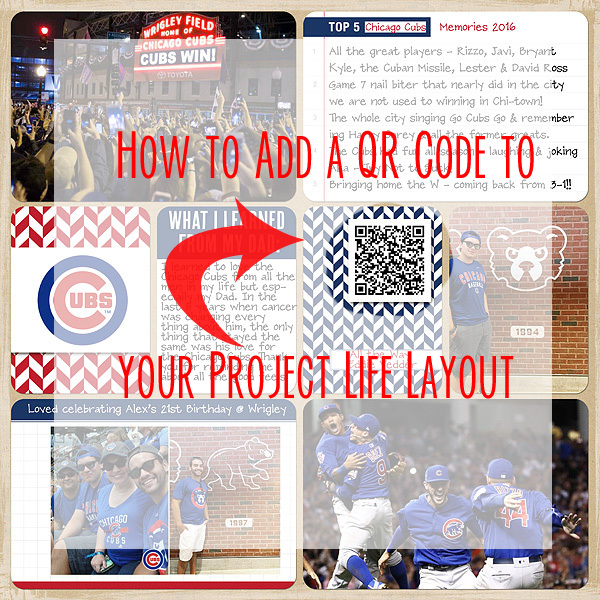 There are lots of programs that will allow you add images to your photos or even completed Project Life app pages. I really enjoy using Photo - a free program although there are others that can do this as well. In this program you can even upload you own fonts ( I even uploaded my own handwriting font) to add more text or larger titles. 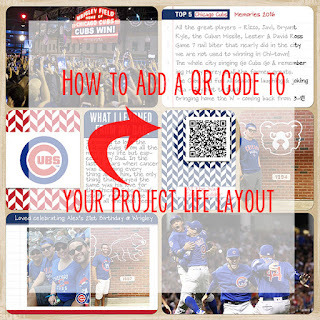 It also allows you to layer on a QR code. Finally - size and place the image where it works on your layout or photo. 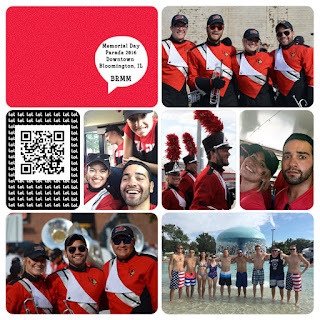 Here is 1 more example where I added a QR code to document the Marching Band parade..